It's This or Murder...: See it. Stream it. The Google Chromecast Streaming Media Player. See it. Stream it. 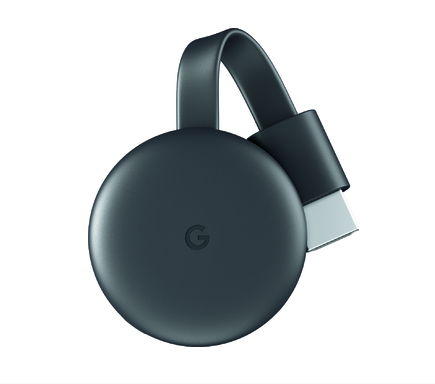 The Google Chromecast Streaming Media Player. Nice thought, right? Well, guess what. We have the technology. Scope out the new Google Chromecast Streaming Media Player. Cute, isn't it? It's not just a pretty face. Watch movies, shows, live TV, YouTube, and photos streaming on your TV from all your family's devices. Plug Chromecast into the HDMI port on your TV and to power and stream your favorite entertainment right from your phone with just a tap. Watch shows, listen to playlists, and more. And while streaming, you can still use your phone as you normally do. Google Home, Chromecast, and compatible content required to cast to a TV using Google Home. Enjoy TV shows, movies, videos, songs, games, sports and more from over 2000 apps like Netflix, YouTube, YouTube TV, and HBO NOW. Subscriptions are required to view some content. Find out more at http://bby.me/8mht4. I received compensation for this post. My opinions are my own.